But despite my naivete on the logistics and intramedia etiquette, I felt I had a pretty good idea of what to expect in terms of interview answers from the players and the coach. I’ve read enough newspapers and watched enough SportsCenter to know that media day is not usually the time for candor or nuance when discussing a season on the immediate horizon. Against this backdrop of low expectations, I must say that I was pleasantly surprised. Sid Hartman asked Coach Adelman for a starting five; a notoriously skirted question for a team about to break for camp. 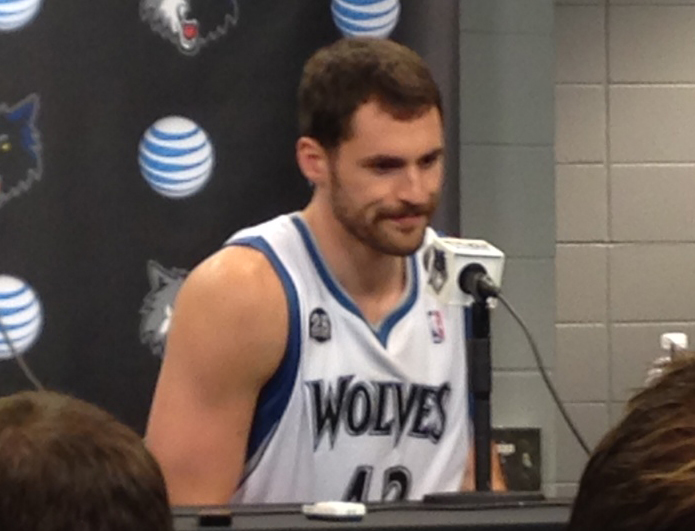 Adelman listed Ricky Rubio, Kevin Martin, Kevin Love and Nikola Pekovic as four locks. After some hemming and hawing, he confirmed what many of us already suspect: Corey Brewer will probably be the starting small forward. I hardly need to explain this one. 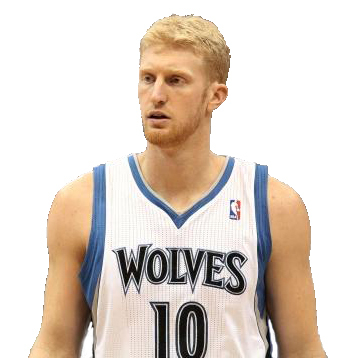 Budinger missed 59 games last year due to a torn meniscus. His teammate Kevin Love, All-NBA the season prior, missed 64. Ricky Rubio missed 25 and had to play his way back into shape after ACL reconstruction. Andrei Kirilenko and Nikola Pekovic missed 18 and 20 games respectively. I suppose I should also include Brandon Roy, here. For a minute, we talked ourselves into his comeback tour. It lasted five games before the former Blazer great called it a career. In short, what many expected to be the team’s first playoff appearance in years turned into a 31-51 season of medical updates and frustration. With just a few days remaining before media day (Eds note: I’m excited to make my inaugural media appearance on Monday.) and the start of training camp, this Budinger news carries an inescapable sense of doom-and-gloom, in light of everything that went down a season ago. Let’s hope it’s the only setback the team faces in the season’s early stages. 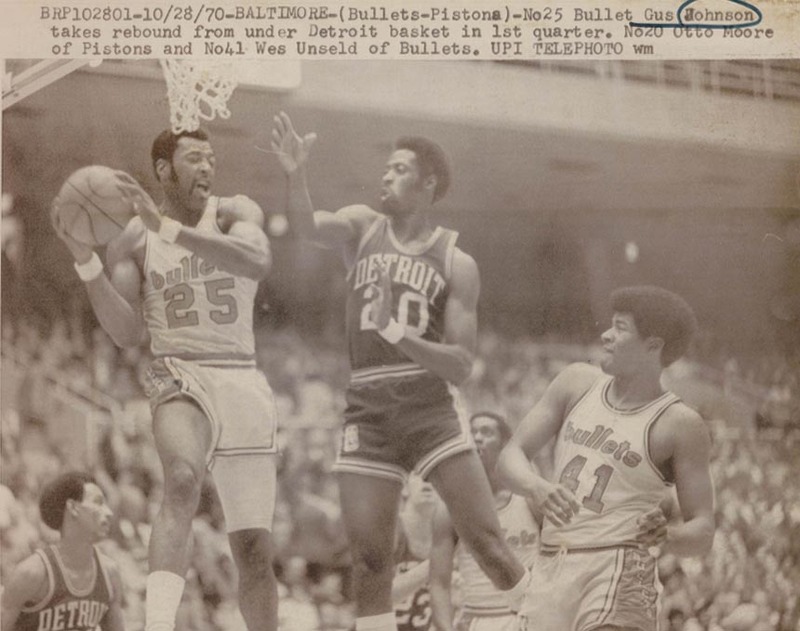 At TrueHoop, Curtis Harris shares an epic tale about Gus Johnson trying to cram on Wilt Chamberlain, only to get his self a dislocated shoulder. Click on the link to check it out. Gus Johnson: We salute you. Per the Harris piece, Johnson died way too young to a brain tumor in 1987. We’re t-minus 10 days from the beginning of Timberwolves training camp, and it’s time to begin musing about the upcoming season. Flip Saunders is now running the show, with Milt Newton riding shotgun and Bobby Jackson in the mix too. David Kahn is gone. Rick Adelman and Nik Pekovic are back. 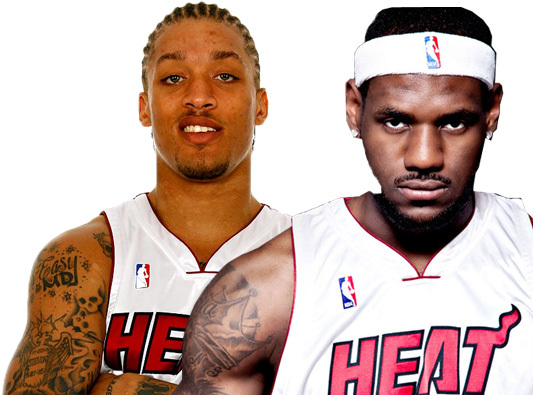 Love and Budinger are reportedly healthy. Word on the street is that Love is in shape. If true, this is a very good thing. Corey Brewer and Kevin Martin are in. Shabazz Muhammad and Gorgui Dieng got drafted. AJ Price might come to camp and compete for prime real estate at the end of the Wolves’ bench. Ricky Rubio has been bicycling and kayaking through Europe. He took a break recently to play for Spain in Eurobasket. I found myself watching the 1998 Finals last night. Game 6 was on, Bulls versus Jazz, “The Shot,” you know the one. Karl Malone and Dennis Rodman were mixing shoulder bumps with hip checks, Jordan was scoring tons of points, nothing else was on, and since my journey to catch up on 5 seasons of Breaking Bad in as many weeks was complete (just in time for an epic episode), I figured there was nothing better to do. Holy cow, the game has changed in the past decade and a half.